Some records and where I bought them. Talking Heads ‘Nothing but Flowers’ (Steve Lillywhite mix). A 10” that I had not seen before. 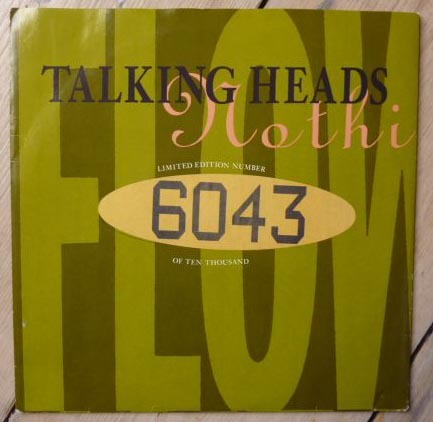 Number 6043 in a ‘limited edition’ of 10,000’ – rare! 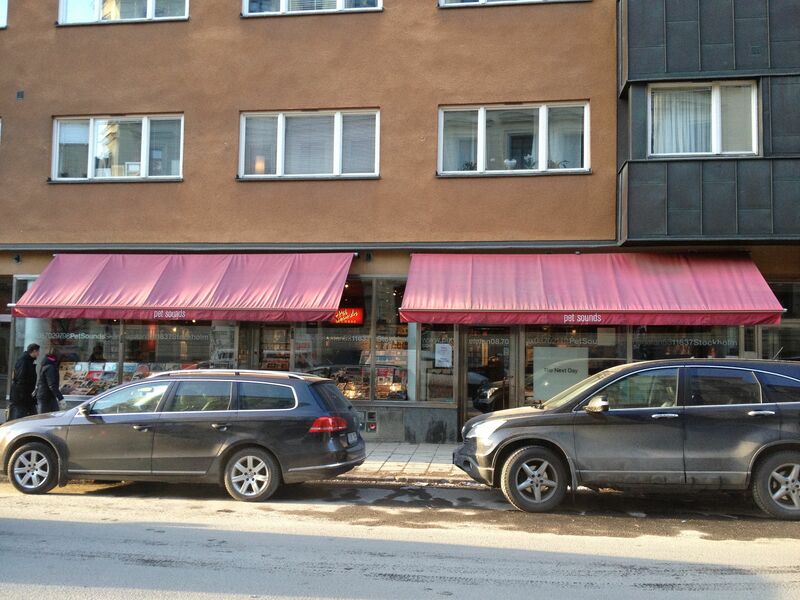 Pet Sounds is the destination of the walk described in my post Stockholm (1). 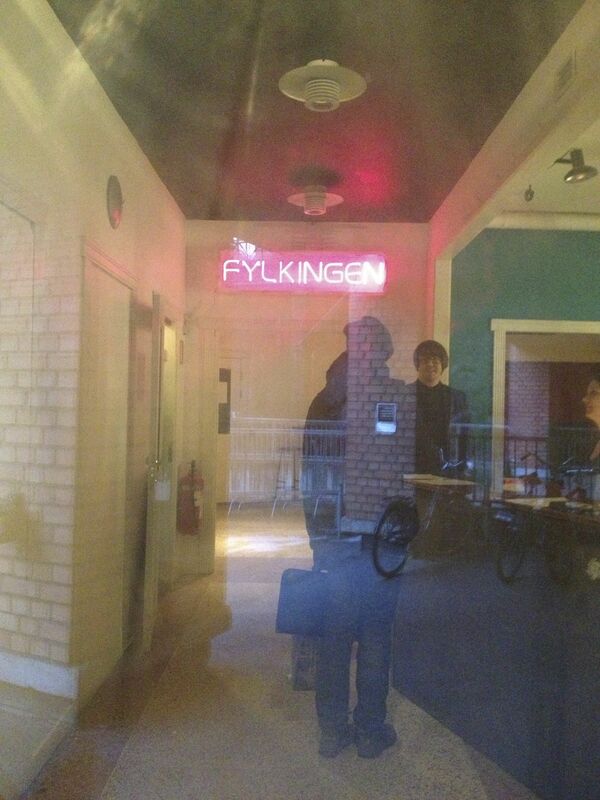 I have bought a Talking Heads album here previously – a live bootleg called ‘Emitting Diodes’. Bill Bruford’s Earthworks ‘Dig?’. Maybe a mistake this one…Django Bates and Ian Ballamy both feature but this was1989 and I am not convinced. 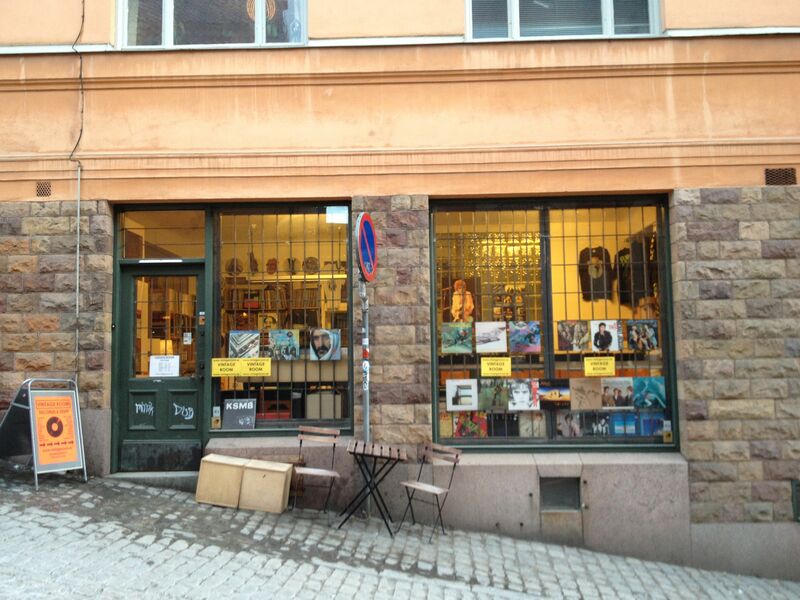 There is a tiny record shop in Fylkingen (where I drew The New Songs a few nights later). The shop is only open twice a week from 5.30 to 7.30 on Thursday and Friday nights…it is packed with good, obscure stuff…indecision meant that I bought this rather than something I really wanted or something that I didn’t know at all and might have loved. 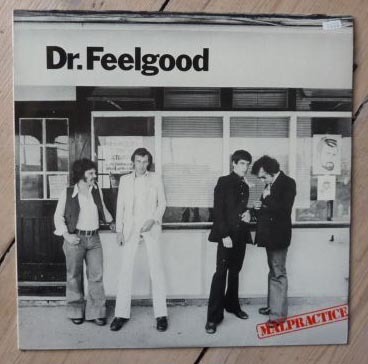 Dr Feelgood ‘Malpractice’. 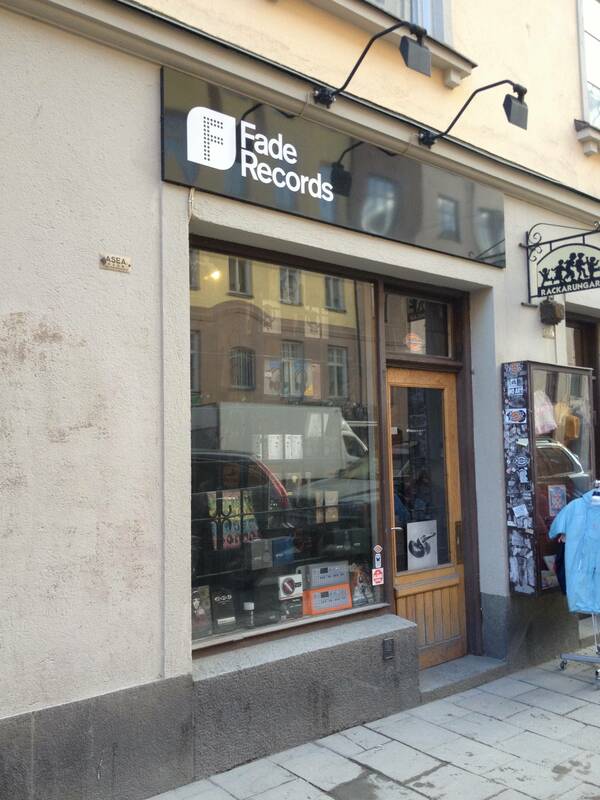 Fade records is across the street from Pet Sounds and is much smaller. I bought this inspired by ‘Oil City Confidential’ and Wilko Johnson’s recent, very moving radio appearances…here is an interview with him in the Guardian. I read that he has had to cancel his last two Canvey Island shows so I guess that he has, sadly, played his last. 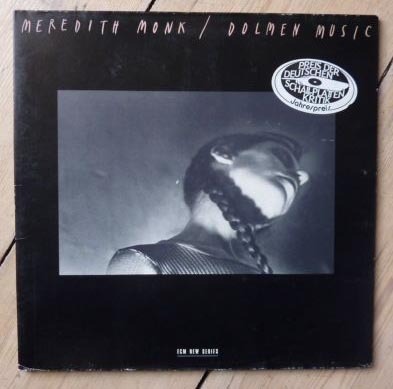 Meredith Monk ‘Dolmen Music’. When he sold me this record the guy in the Vintage Room said: ‘This is a really great album.’ And he knocked a few Krona off the price. Both of these occurrences are really unusual. I heard the first track of this, ‘Gotham Lullaby’ on the radio in the early 1980s – I taped it and have returned to it many times since. I have never heard the whole album until now. Love the Stockholm posts � very nice. thank you…glad you enjoyed them…. Yes, great sequence of Stockholm posts. Also love that Meredith Monk album and Gotham Lullaby particularly. She was at The Edinburgh Festival last year and returning again this year.